A company suspended from Facebook in the fallout of the Cambridge Analytica scandal says it feels betrayed by the social media giant. Cubeyou collected information about users of the social media site through personality quiz apps that was allegedly sold for marketing purposes. Chief executive Federico Treu told the BBC the firm had done “nothing wrong”. Facebook said the suspension was a “careful decision” made as part of a broader ongoing investigation. The tech giant is looking into whether Cubeyou collected data for academic purposes and then used it commercially, following a partnership with Cambridge University in the UK. It said it took “any report of suspicious activity that could threaten people’s privacy” very seriously. The allegations are similar to the way political consultancy Cambridge Analytica exploited the data of about 87 million Facebook users. The scandal rocked the social media firm and was one of the issues that led to Facebook founder Mark Zuckerberg being grilled by US senators. During that hearing, Mr Zuckerberg said Facebook would investigate “tens of thousands” of apps to discover if any other companies had accessed data in a similar way to Cambridge Analytica. Cubeyou says it “played by the book” with Mr Treu telling the BBC’s Asia Business Report that the firm had been a certified Facebook partner for six years and had invested heavily in the platform. “Facebook didn’t think twice to throw us under the bus with all the investment and our reputation on the line just because they wanted to release the pressure from public opinion around what is happening right now,” he said. “Initially I did understand where this was coming from. They are under a lot of pressure. He added that, even if allowed back on to Facebook, he thought it was unlikely his company would work with them. “We are looking for a partnership here and their behaviour obviously shows otherwise so it doesn’t make any business sense for us to keep partnering with Facebook, unless they are changing completely their attitude,” he said. 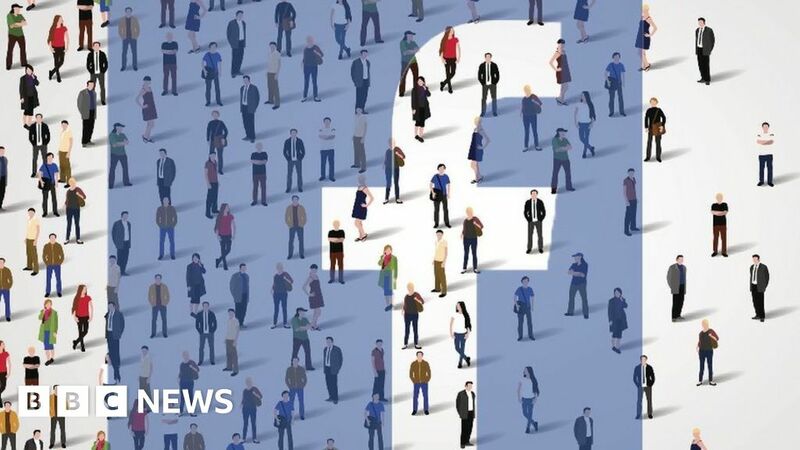 The comments came as Facebook revealed quarterly sales rose by nearly 50% in the social media giant’s first results since the privacy scandal over users’ data emerged. Cubeyou is one of a number of firms set up to help businesses such as publishers and advertisers target their marketing. It is unknown whether it has also helped campaigns spread political messages, as was the case with Cambridge Analytica. On its website, Cubeyou describes itself as having “all the best consumer data sources in one place”.